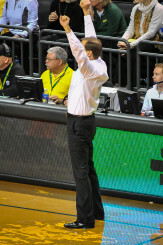 After the 2013-2014 basketball season, everything was looking rosy for Dana Altman and Oregon basketball. They just finished a season which saw them win the Pac-12 tournament and the team had a strong showing in the NCAA tournament, narrowly losing to an eventual Final Four team, Wisconsin Badgers, in the round of 32. With a plethora of young and talented players returning, the Ducks were looking to compete for a championship in the 2014-2015 season before the team was rocked by a sexual assault scandal that forced two proven veterans and a transfer off the team. Suddenly, the narrative changed from a team looking for its first championship since 1939 to a team just trying to stay relevant. 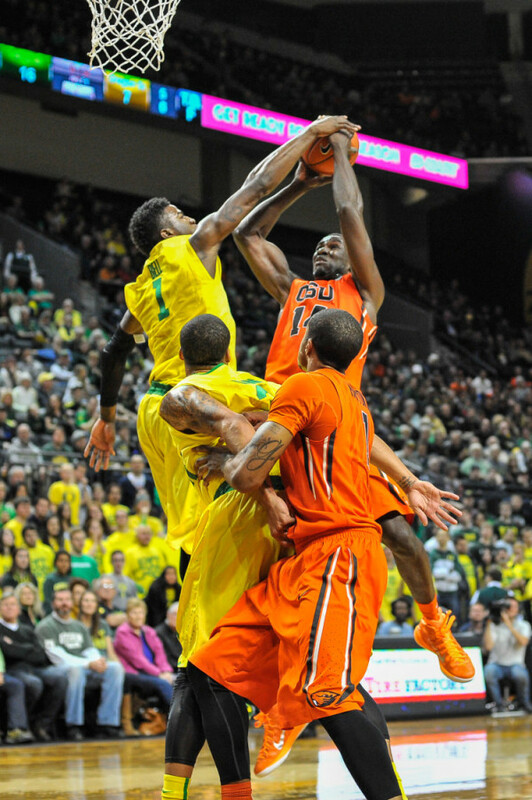 Joseph Young shouldered the load for Oregon basketball last season. With help from star senior, Joseph Young, Altman was able to keep the ship afloat last season. Young became the Pac-12 Player of the Year and Altman was named the Pac-12 Coach of the Year after a campaign that saw the Ducks go 26-10 and their third straight appearance in the NCAA tournament, again losing a close game to Wisconsin in the round of 32. As the 2015-2016 season draws closer, the narrative is changing again. The team is looking to compete nationally, as they have recruited top talent and the return of some key starters from last year. The Pac-12 will also be up for grabs after Arizona once again lost most of its starting lineup to NBA lottery teams. But the biggest difference for Oregon basketball may be the new rule changes the NCAA rules committee proposed this month. Jordan Bell returns as a key piece on a team ready to compete. As fans flock to NBA games where there is a 24-second shot clock and teams are increasingly adopting a high tempo and high scoring style — they might not appreciate college basketball’s historic struggle to score. The rules regarding pace of play will make the most impact because there is a proposal to make a shot clock change from 35 seconds to 30 seconds, as well as removing one team timeout in the second half. These changes will improve the flow of games, which have a tendency to get stretched out by excessive intentional fouling and abuse of timeouts late in games. Also, it will speed-up slower-paced teams such as Wisconsin from resetting the offense ad infinitum. For the high-paced Oregon team, these changes are well received. New rule changes will allow the Ducks to penetrate physical defenses more easily. Much like the football team, the basketball team features a high-tempo style with an offense that runs the floor and tries to score in transition — focusing more on athleticism than size during recruiting. On defense, the Ducks like to pressure teams, causing turnovers that lead to offensive opportunities. A higher pace means more points. 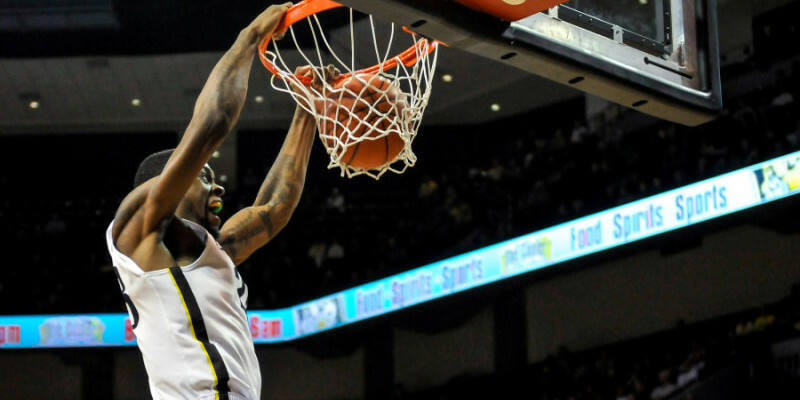 They were ranked 26th nationally with 75.6 ppg but 288th nationally with 70.8 ppg allowed, according to ESPN. Naturally high paced, the team won’t be stressed offensively by a shorter shot clock and will be able to score more easily because the rule changes will also prevent the type of physical defense they often struggle against in half-court sets. Duck fans are sure to see more of these celebrations next season. Their recent tournament play is a good case study for why the rule changes will benefit the Ducks against physical, slower-paced teams. Both losses came against Wisconsin — one of the most efficient teams in scoring the ball – but they played at an incredibly slow pace. Anchored by Frank Kaminsky at center, the Badgers used a physical approach to beat the Ducks two years in a row. Both times frustrating Oregon fans with their reset of the offense several times per possession . To their credit, the Badgers seemed always to score, while also playing a physical brand of defense that propelled them to back-to-back Final Four appearances. With these rule changes, the Ducks would have been able to score more easily in the half court and would have fared better against teams who used the entire shot clock — which felt like every possession. Therefore, if implemented, these changes will make it easier for the Ducks to compete with physical and slow-paced teams. However, rule changes alone won’t make the Ducks great this year. The return of several talented players such as Dwayne Benjamin, Jordan Bell, Dillon Brooks and Elgin Cook will do that, in addition to the recruitment of several 4-star players such as Trevor Manuel, Kendall Small, Tyler Dorsey, Dylan Ennis – a Villanova transfer — and JUCO Player of the Year, Chris Boucher. With a strong recruiting class and the help of the new rule changes, Oregon basketball is ready to challenge annually for the Pac-12 crown and compete nationally come March Madness.